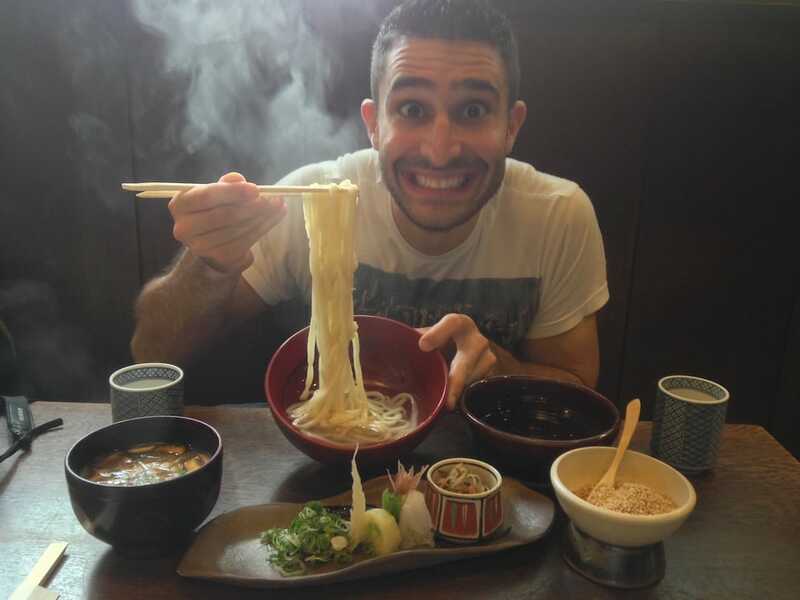 Yaki Udon is a classic Japanese noodle prize and one of our favourite foods from Japan. Yaki is Japanese for pan fried and udon are the thick and chewy noodles, made from wheat flour (as opposed to soba which are thinner and made from buck wheat flour). 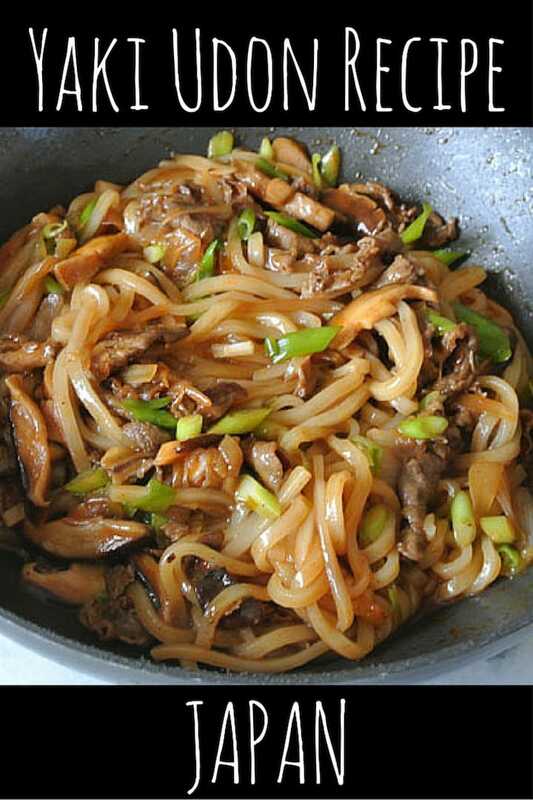 Our yaki udon recipe is very simple, requiring little skill. The key to it is the high heat used and the short cooking time. Therefore it is important that all the ingredients are prepared and ready before the cooking part starts. And remember when eating your noodles to slurp away as loud as you can to show your appreciation! This is considered good manners in Japan. To find out more, check out our 8 quirky and interesting facts about Japan. 1. If like us you don't like bad onion breath, then sautéed the onions first (pre heat oil in a pan, then add the chopped onions, lower heat to a simmer, cover and let them cook for around 10 minutes until they brown and become tender). 2. 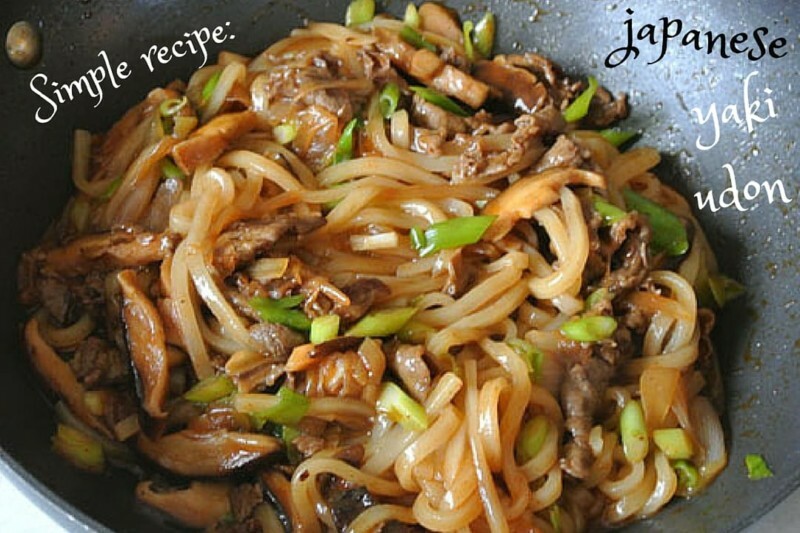 Add more oil if necessary and ideally in a wok or large frying pan and stir fry the meat until it is almost cooked. 3. Add the ginger and season with salt and pepper. 4. Add the chopped carrots, pepper, mushrooms, spring onions and fry for a couple of minutes. 5. Add the noodles and around x3 tablespoons of water, cook and cover for x2 minutes. 6. Mix in the Mentsuyu and soy sauce, then serve on a plate and sprinkle with the bonito flakes, spring onions and pickled ginger on top. Yaki udon is a main dish by itself and goes down very well with a chilled or heated sake (alcoholic Japanese drink made from fermented rice). Also check out our Japanese green tea cake recipe for a dessert and our recipe for chicken ramen for an alternative noodles experience. Read more about our Japanese experiences, such as our LGBT travel guide to Tokyo, our 10 days itinerary, or about that one time we dressed up as geisha in Tokyo. Also, if you're travelling to Japan, check out our guide about renting a pocket WiFi, which will save you a lot of money in roaming charges! In the recipe, I don’t see Ginger. I am assuming the ‘ fingers’ should be Ginger instead of garlic?